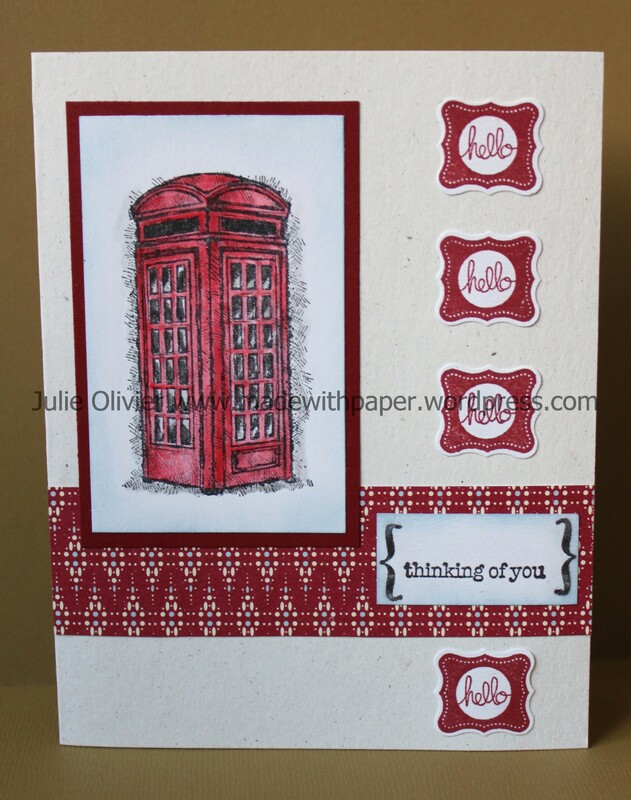 Today’s card is another card made with the Feeling Sentimental stamp set, a Sale-a-bration set that you can earn for free now until March 22!!! I played a lot with texture and colors for this card. What do you think? 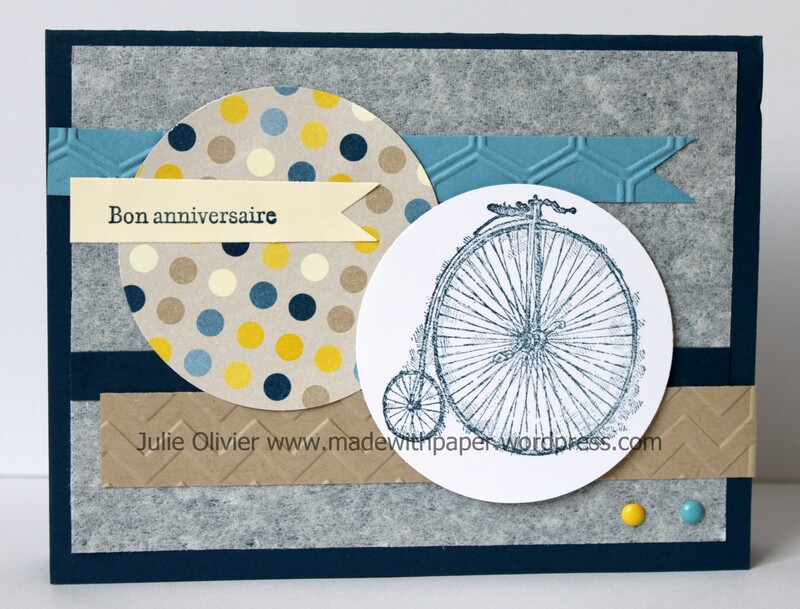 For the background, I used the new Creped Filter Paper, available in the new mini-catalogue. It’s almost like tissue paper except that it has the strenght of card stock. It’s great for many purposes and makes a great background! 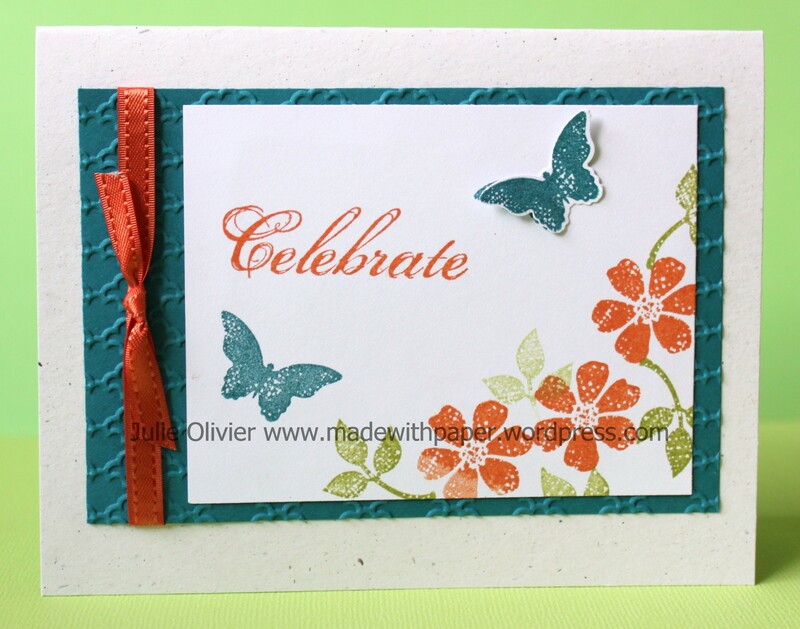 I used the new Honeycomb embossing folder as well as the Chevron folder to add texture. The 2 brads mimic the dots on the Designer paper. Feeling Sentimental meets Petite Pretties! 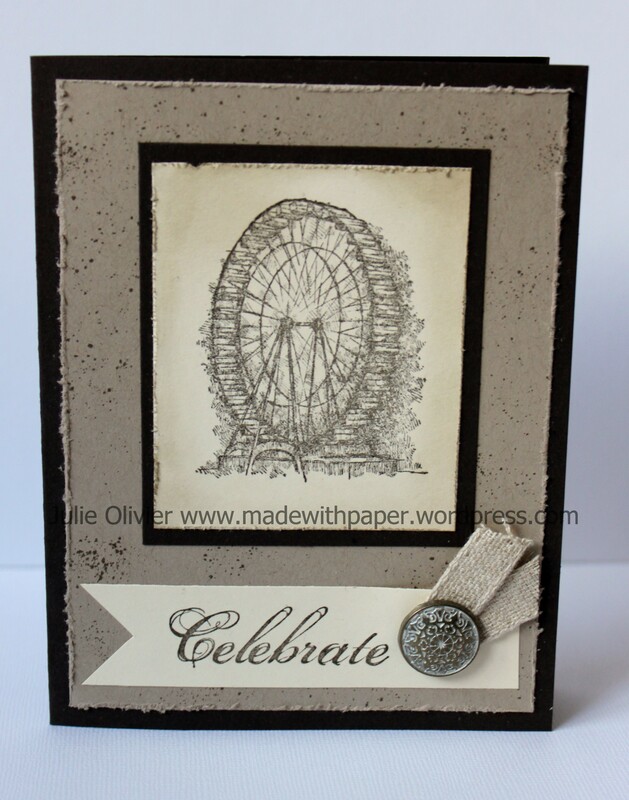 The designer series paper is from the Holiday mini-catalogue “Festival of Prints Designer Series Paper Stack”. I thought the zigzag line looked like a phone cord! Here’s the Feeling Sentimental set. Email me of you want to earn it free!!! CS and paper: Early Espresso, Crumb Cake and Very Vanilla. 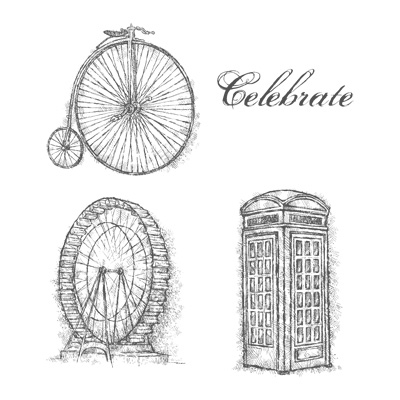 If you like “Vintage” style you will love the “Feeling Sentimental” Sale-a-Bration stamp set. You can get it for free starting on January 22, 2013, with a purchase of $60! CS and paper: Early Espresso, Crumb Cake, Midnight Muse, Real Red, Very Vanilla, First Edition Specialty paper. 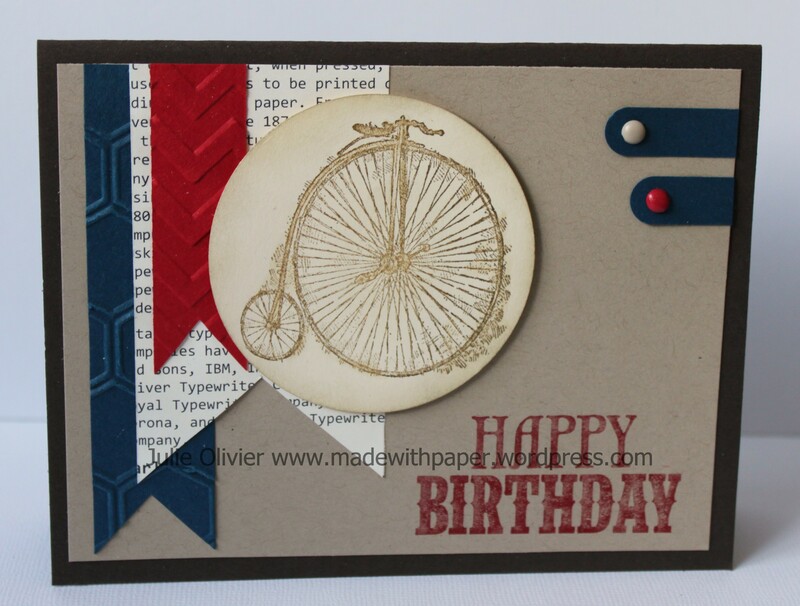 Tools: Big Shot and Honeycomb embossing folder, Chevron Folder, 2-1/2″ Circle punch, Word Window punch, Paper piercing tool.